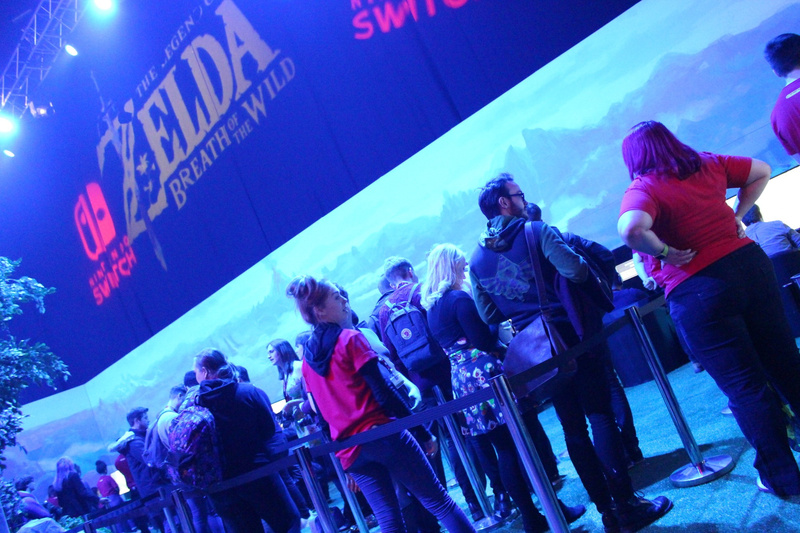 The Legend of Zelda: Breath of the Wild will take up 13.4GB of internal storage on Switch, should you choose to download it rather than buy the physical game card. On Wii U, it takes up 13GB. That's quite an amazing achievement when you consider the sheer size of the game, but it could potentially cause headaches for those who intend to go digital with Switch when it launches in March. The console has 32G of flash storage, some of which is used up by OS files and save game data, much like with Wii U. That means that Breath of the Wild will consume around half of your internal storage - although the fact that Nintendo has gone with MicroSD cards and not an expensive proprietary format (Sony, we're looking at you) means you can augment your storage total without breaking the bank. It has already been confirmed that the Switch will accept MicroSD cards of up to 2TB in size, which makes it future-proof for the next few years, at least. Or you could simply buy a physical copy, of course. The choice is yours! I'm buying the retail Wii U version. Already pre ordered. I'd like for there to be a Collector's Edition on Wii U but I'm not sure there will be. Hnngh, Zelda on my car trips! As it is the system cost plus adding in the cost of a few 128gb cards makes it over 400$ anyways. Bad ideas all around. I like the relatively small size. The news of supporting up to 2TB micro sd cards and now this has done a lot to ease my worries about storage on the Switch. It does make me wonder about big 1st party games though. Will they be the normal (huge) size on the game cards or will they be pared down versions for the Switch? And please stop mentioning 2TB cards as they won't even be an option (cost wise) the whole life of the system! For people going digital, this is the cheapest I have found. 128gb micro sd for £35. I'm going physical but will be buying this as it will last me forever. This is pretty good as similar games on the XboxOne etc. take well over 30GB, this just shows the change from a HDD to flash memory really reduces the file size needed. Was just down my local TESCO (UK Wallmart basically) and could pick up a 128GB 80mb/s Micro SD card for £30 ($34). Think the SD card in my 3DS is 8GB. "but it could potentially cause headaches for those who intend to go digital with Switch when it launches in March"
" It has already been confirmed that the Switch will accept MicroSD cards of up to 2TB in size"
@Moose_4 Thanks for the link. I am going physical myself. I barely used 5% of my Wii U's external hard drive. I might go back to physical media. I only went to digital because I couldn't stand the noise generated by the disk AND being able to resale and get itat a cheaper price is a big plus! @Spoony_Tech I'm not expecting to buy a 2TB card tomorrow. I'm just happy that the system will be able to support a very large amount of storage space. Nintendo should have given us more storage and it would have been far cheaper for them to do so than it is for us to buy at stores. And yes 2TB cards would be feasible for a large part of the life of Switch and they will be crazy expensive when they do arrive. Bye bye memory-space....especially since a part of the 32 gb seems to be reserved for yet again the operating-system. People should just buy it at retail. And if they are wise, they go for the Wii u version. Though if you haven't a Wii u already, that probably won't make much sense. @JHDK I couldn't even find a 1TB on Amazon and if I did it would most likely cost over 500$ and I'm not talking about a cheap model either as I don't trust anyone but SanDisk and Samsung as I've been burned before. In 5 years I doubt that a 2TB would be less then 500$ so like I said, not an option. I don't get this notion that MicroSD is not an expensive format for storage. Switch is a HOME gaming console meaning the games they are at least targeting to land on a regular basis are massive in size. Meaning, a 128GB card is not going to cut it 3,4,5 months down the road (unless you plan on game card swapping physical versions like some kind of a Neanderthal from the 90s). But even still, the cost of 128GB cards are ridiculous, let alone a size that you're actually going to need like 500GB. @gatorboi352 I can see the first major 3rd party title being upwards of 40gb. Like you said though I'd rather have 3 128gb then one 256gb right now and I still save money. HATE downloaded games, would always rather have physical copy. Same with my music collection. So to be honest ever since my Wii would let me have both MarioKart 64 and Majora's Mask installed at the same time. I always try and get a physical copy. Compared to regular games it's pretty big, but compared to XCX (the nearest comparison) I was actually surprised it wasn't bigger... although thinking about it, I do remember mention that the vast number of voice tracks took up a sizeable chunk of the size, and BotW will have far less, so it seems about right considering. That's tiny for such a huge and ambitious game, but don't forget that Nintendo truly is the master at compressing file size. Just look at titles like Super Paper Mario, Mario Kart 8, etc. Honestly, nobody in the industry comes even close. Was all digital on Wii U, thanks to game cards and questionable choice to (for now) exclude external HDD support, I'm reverting back to physical media with Switch. How many save slots will this game have? I've seen 128gb microsd for less than £20... Switch aint till March, hold out for a deal! It's a WiiU game so the size isn't surprising. I don't understand why anybody would download a game like with all of the swag bundles they are offering. Or you can get a 20% discount with Amazon Prime or Best Buy GCU. And since it's a launch title with a new system so one retail or or another will probably be offering an in store bundle deal, buy a Switch and Zelda get $10 off or a $25 store gift card. I understand the convenience of digital, but this game has so many reasons to not buy it digitally. Plus, to take the Switch and Zelda with you you'll still need to carry around 4 or 5 amiibo to get the full game experience. Wolf Link amiibo unlocks pet wolf sidekick. Who knows what all the others might do. Guarfian, Link, Zelda, Boblikin. We ordered Ganondorf from SSB yesterday just in case. I'm getting the Wii U retail version (I'm halfway to paying it off). @SLIGEACH_EIRE There is, there's two...the best one is $150 and the other is $100, and they look pretty nice! There's a video section on the Treehouse event that shows it! A lot of space, but it should also be added that updates and (if nintendo goes the route...DLC) will also take up more space, so you might as well say that close to 18GB will be used up for the game...glad I'd rather have the artwork and case and buy retail. Just imagine what some of the other games will take up??? @Akropolon Don't forget, that if you're putting the high-quality nintendo games up against the other big title games, you have to remember that nintendo doesn't really do a lot of voice acting (which would take more space for a game) and the long and sometimes lengthy cut scenes (which would take up even more), so the games take up the space for a reason. Nintendo makes the games for...playing and enjoying, not making them hollywood-type films like some of the other companies do (not putting down Sony or Microsoft or any other game company). @JLPick I'm talking about a Wii U Collector's Edition, not Switch. @Bunkerneath Glad I'm not the only one that would rather have physical in games and music. I love having the artwork to look at (CD Booklets) and the other goodies to look at on my shelves. With CD's becoming harder to find, it's not looking good for us in the music zone! I'll be buying the Special Eiditon, so I don't have to worry about this game taking up storage space, but 32 GB is ridiculous. Hopefully, a 128 GB MicroSD card is enough for me. If you DO want to go digital on Switch, taking half the storage is really no big deal because there are no other games anyway. No support for external hard drives? And does anyone know if the Switch has an Ethernet port? A lot better deal than the previous card link I put up, if anyone needs a microSD card. EDIT: Also, comes with a free 64GB microSD. EDIT2: Free shipping as well by the looks of it. EDIT3: Looking up the website does not come up with promising results. It looks like they've had numerous problems with "fake" cards. Thanks @kevfrei for pointing that out. The Sandisk options I mentioned before remain the cheapest legitimate cards from a verified dealer (ie Amazon themselves). @Dakt Doesn't mean much though if you really think about it and Xenoblade X was 22.7 GB for just the game itself (I think). @gatorboi352 Hi there I am a Neanderthal from the 90's. I enjoy physical. The biggest shocker is that the Wii U version isn't cancelled. I'm happy for those who are planning on buying it, though. @SLIGEACH_EIRE waiting for this same thing but they are acting like the wiiu version doesn't even exist. @InternetBowser: Amen, brudda. I like getting the carts myself. @Ernest_The_Crab Thanks for the link but I don't trust no one but Samsung or SanDisk. A no name SD card isn't going anywhere near my valuable games. Show me a link to one of those then we can talk business. One can always buy a micro ad card at a later date though, effectively spreading the cost. If they had included more flash storage then the price would be much higher. I want to be able to download it for the U, and move it over to Switch when I get around to buying one. Doubt that would happen though. Well, we kind of saw this coming. At least Nintendo games won't be a mandatory 30+/- GB install to play like on XBOX ONE nor will have a forced 30GB+ "update" (DLC) install like CoD games, again,on XBOX ONE. Looks like Samsung isn't quite as competitive on pricing compared to Sandisk. Couldn't really find a lower price for them for a similar storage size. EDIT: Anyone reading this, be especially careful about multi packs (like Sandisk has). From checking the speeds the microSDs in the multi packs are generally a lot slower than the ones you buy solo. Also, be careful as some brands have both 512MB and 512GB microSDs. Nintendo is amazing as always with the file size of its games, only 13 GB for an open world game is impressive and I can't even imagine how huge the new game must be considering they rarely go beyond the 3GB mark despite their games always having rich contenent. 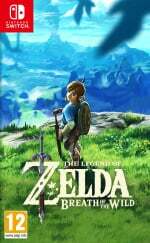 For UK is cheapest price for Wii U version £40? Got switch / Zelda Switch and Wii U pre-ordered but still on fence as to whether I will be an early adopter. Will decide by last week of February. Are the graphics only thing that is slightly better on Switch? @jjs2016x4x1 The games will be played off flash storage regardless of the format. Physical games are not cartridges. @Ernest_The_Crab That's not half bad actually. Still rather have 2 128gb but you're getting closer. @SLIGEACH_EIRE I doubt they'll do special editions on the WiiU, as sad as it is to people who'll still chose to play on the WiiU it looks like the Switch is the definitive version. Ladies and Gentleman, this is a NON ISSUE, the Switch has been confirmed by Nintendo to use SDXC storage cards with a max capacity of 2TB. Now to figure out how to get them on the cheap. @dazzleshell Graphics wise, Zelda is almost the same between Switch and WiiU. However the whole game does run smother. On the Switch version the draw distance is much better and I believe it will be running at 60fps instead of 30(?) on the WiiU. @jjs2016x4x1 No, they come on flash memory based storage cards officially called "Game Cards" according to nintendo. A cartridge (like the NES/SNES/N64) used is something entirely different. Getting both retail but I am impressed with the size. Nintendo has always been good at keeping their games small though. @SLIGEACH_EIRE Sorry...thought the special editions were for both, didn't know it was limited to just Switch. Kind of careless of nintendo though, considering that the main reason most people bought the Wii U was for Zelda and it was the game that has been delayed so much for the Wii U...you'd really honestly think they would do something for the Wii U owners (I used to be one, but I got rid of my system last year). Shameful on nintendo's part...no reason to leave the Wii U owners high and dry, because it also makes you wonder on if online areas of the Wii U will be turned off in March too...already taking into account that the E-Shop probably won't get any more support from nintendo at that time (if it even really does now). I hate it when nintendo drops their recent console a year before the next one, when there is enough that they could do on both. @Spoony_Tech Wasn't sure if you wanted to split it so I left the 2 pack option out in the previous post. It's also a bit pricier at $95 and a bit slower (the 200GB is 90MB/s, the dual pack cards have up to 80MB/s). @InternetBowser cool, the lack of storage will ultimately push 3rd parties away again and so the only physical games you'll have to worry about purchasing will be Nintendo's own. Again. Btw in before obligatory "i only buy Nintendo consoles for Nintendo games" reply. @DiscoGentleman I know...still have my original Atari games and NES and Genesis, and love looking at all of the booklets. Even went through my attic and found some old pamphlets with Dr. Mario on them, when nintendo fixed the NES and a bunch of old game magazines from companies that aren't even around anymore. Always nice looking at all of my Nintendo Power's too...can't believe I racked up every issue of them! Too bad we're at this DIGITAL age, and I hope it ends quickly...with everything being Retro, and every 80's being known as Retro (which makes me feel really old considering I was born in 1980), I'm thinking it will come back again...heck, records did (just expensive as all get out now). @jjs2016x4x1 unless that physical game has a 30GB patch down the road (or worse, Day 1). Not going to get the switch at launch and so far there isn't that game that makes me want to get it day one. If NMH3 was released for launch then I would have bought it day one. I will wait and see how BOTW is on both systems. If they are identical with no performance issues and run at the same FPS then I will get the Wii U version at launch. If the switch version runs better then I will wait to get it when I do decide to buy a switch. That is massive. But no surprises since XCX size is larger, i think? And Monolith Soft helped with the over world. When I read "half of your internal storage", I heard Mario's falling scream from Super Mario 64 in my head for some reason! Why would you download this? Just get the cartridge. Preordered the Special Edition, so it's safe to say that I'm going physical for BotW. 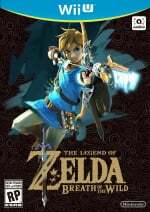 Nintendo are the undisputed kings of packing big games into smaller file sizes...it tends to feel like most other companies don't even TRY anymore, feeling no remorse for eating up ABSURD amounts of storage on PS4, Xbone, and PC. A game this massive and ambitious on any other platform would easily be three times the size...and you'd have to install it on the hard drive to play. In other words, don't download it on tye Switch. "this just shows the change from a HDD to flash memory really reduces the file size needed." The heck are you going on about? Storage type has absolutely no effect on file sizes. @DanteSolablood "Was just down my local TESCO (UK Wallmart basically) and could pick up a 128GB 80mb/s Micro SD card for £30 ($34)." As far as Zelda's concerned though it's got to be a physical copy. I'm not waiting for that to download...pop the card in and away you go. @New_Guest If it was up to me I would have the SNES / N64 boxes back on the shelves. They were beautiful. @New_Guest: Oh, believe me, I'm not against downloads by any means. I have dozens of games through Steam, my 3DS, and Wii U. But I love me some box artwork, so if I can find it, I'll grab it. Cartridges are pretty portable anyway, so I'll save hard drive space too. That's ok I am just planning to the physical version for the Wii U because after seeing side by side comparisons it looks to be pretty much identical in terms of graphics, and the fact that they are both confirmed to run at the same frame rate makes the decision almost too easy. @Thaswizz You dont know that yet. There were plenty of Wii U games that needed updates. Xenoblade needed a 10 gb download to perform better. I'm still getting the Wii U version it lookes pretty much the same, plus as a student on a budget I can't afford to spend upwards to close to over $600 Canadian on a Switch and new game. Happy to see the truth is out. The confused and the trolls were acting like the game HAD to install this to the drive to work. No, it's for those who just like to rent their games downloading it who have to eat up that kind of space. Good to see that cleared up fast. @DiscoGentleman So am I, as I also bought the bundle. And as long as the movies keep coming out on Blurray, I'm happy with that. @Spoony_Tech MicroSD cards increased from 128MB to 200 GB in just 10 years (over 1000 times) at a reasonable price. 2TB in about three years at a reasonable price seems like a good bet. I'm getting both versions, the Wii U version for my brother but the Switch version for me as I don't like disc based games that much. @AVahne I think you may misunderstand, it's not the case of the same file being moved onto a different storage medium. Using flash memory allows the game to be made in a much more efficient way & it's quite well established that this can HHD may have to) making it less RAM intensive. The Switch should be able to do more with less. @whodatninja I own Collector edition of xenoblade chronicle x and have never once had a problem. And i didn't download any of four NON required updates. Of course games will have updates, but at least with WiiU every game didn't need install. @ruinez yes because storage cards are never getting bigger and cheaper. we all know they stay at the same price and # of gigs forever. @FX29 The WIIU version has better lighting as well! Well, I will most definitely be going physical for my copy of Breath of the Wild. (I intend to get it on Wii U, so I can play it on the day) But wow, that's a big download for a Nintendo game... and I thought Sun & Moon's 3.2GB was a lot! I'll prob get one 128gb or 256gb sd card n go from there. @gatorboi352 Yeah, having my games on separate convenient carts is just SOOOOO hard to manage for the 20XX intellectuals that need to carry everything digitally or else it's just too rudimentary to consider. Give me a break, man. Physical > digital and probably will be for the foreseeable future unless Nintendo learns how to price their digital versions. @dronesplitter glad it's working for you, individually. For the masses, digital > physical and the numbers prove it. I'm not just talking video games here either. Well, it's very simple if you want digital on Switch, then. Get used to not having your entire library of games available at one time, only fill up the size microSD you can afford and there you go. Otherwise, buy at least some physical carts.